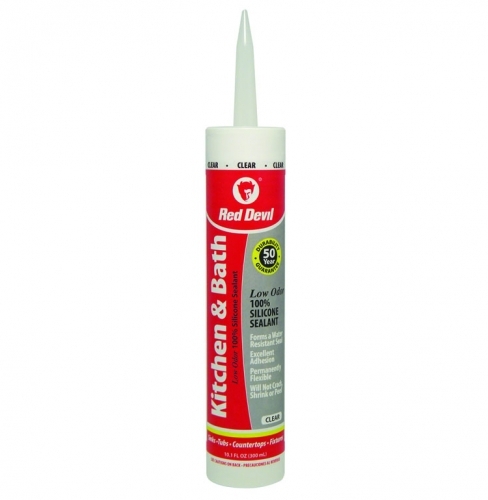 Kitchen and Bath Silicone Sealant is an advanced formula sealant that provides long-lasting flexibility and excellent adhesion to ensure a protective barrier against moisture. It provides a watertight seal around kitchen and bath fixtures and cures to an ultra smooth, satin finish. Cured sealant is mildew resistant.